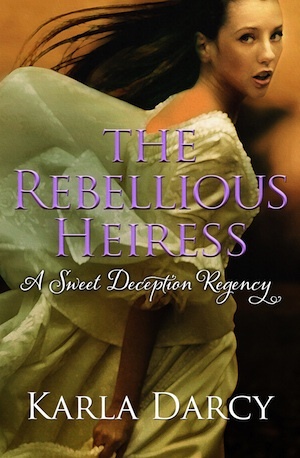 This is book #8 in the Sweet Deception Regency series which brings you the adventures of the gentlemen of the ton who are members of Sweet’s Racing Club and the women they love.If you love Downton Abbey and Jane Austen you’ll love The Rebellious Heiress! Marry her cousin Woodie? Bella would sooner run away. On her escape to London she finds the Earl of Wyndham attacked and left for dead. When Tristram regains consciousness, he can’t believe this wisp of a girl has saved him. Unable to leave her to her own devices, he escorts her to London and hires her as governess to his son. 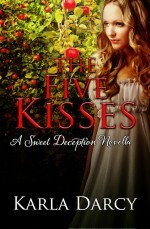 Though he suspects Bella is lying about her identity, he welcomes her into his home and his heart. Will her controlling guardian find her and force her into a disastrous marriage when her heart belongs to the man she rescued?